At ProofHub, we are much obsessed with teamwork, collaboration, and productivity. We are defined by our effective teamwork collaboration. We believe that when teams have a good base of collaboration, they are less susceptible to waste their time being lost in email and getting things done. And a strong base can be built with the help of online collaboration tools that will not only help in productivity but also result in successful projects. What is online collaboration tools? What are the key features in an online collaboration tool? How can online collaboration help business? How do I choose collaboration tool? Imagine managing teams from one part of the globe and your designer or writer or developer or marketing team sitting on the other side of the globe. How do you collaborate with your remote workers frequently and conveniently? How do you manage to get everyone the same page and ensure that they get the latest updates of projects? It can be challenging for not only the remote business workers but also in-house teams to keep pace with the upcoming tasks. Thanks to online collaboration tools that help in managing small and big businesses and in managing the workflow. There are plenty of collaboration tools in the market today. 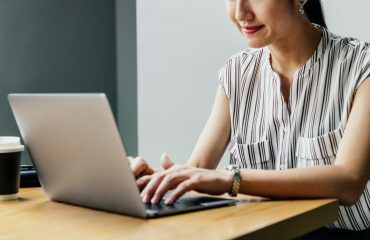 Online collaboration software is not made for just remote location workers but is also a valuable tool for any business that wants to be more efficient and effective. It empowers teams to optimize resources, execute projects, promote transparency and achieve unparalleled collaboration. First of all, an online collaboration tool for business is an easy way out to how to collaborate because of its unique features. There are some useful features like calendar, ability to upload documents, send notifications by e-mail and other updates. So, if you mainly want to have a good collaboration, your collaboration software needs to be secure and to have the features that will fit your purposes. It is important that the tool you choose has a good functionality. It has become quite common to see employees working from all over the world on a single project. This increasingly dispersed workforce is becoming the trend and thus making online collaboration the need. 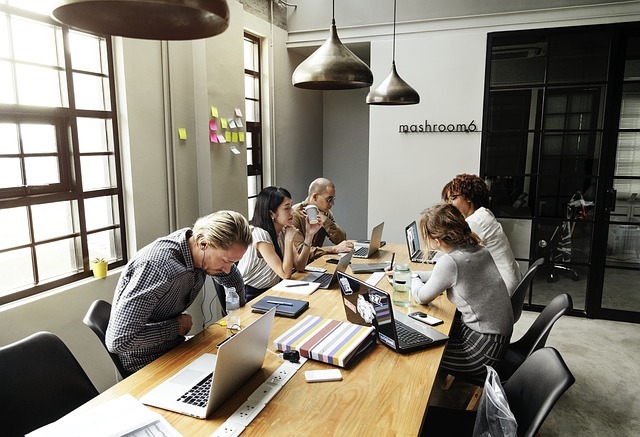 Collaborating online is used to remove the gap between employees due to far-away locations, run effective meetings online and ensure that they work together at the same time on the same page. And this will help to run projects faster and an improved communication between employees. If you have ever looked into collaborations tool and project management system, then you would have undoubtedly come across ProofHub. It is an advance online task collaboration software for project management. It is one place to run your business and plan everything in your projects and stay more productive at work. It makes it easy to collaborate with teams and clients and deliver projects on time. You can easily assign tasks to individual and assign them different roles by defining who will be doing what. And, the option to set dependencies on tasks and proofing of documents makes it even easier to plan your project activities. Troop Messenger’s feature-stack is functionally powerful, flawless, and is the one best slack alternative for team communication and collaboration. It can be considered as an apt tool for all sizes of organizations. The user navigation across this business chat application is promisingly seamless for any novice user. Its impressive and immersive user interfaces make each feature self-explanatory to the end-users. Troop Messenger is cross-platform enabled; it is available on Windows, Linux, Browser, Android, and iOS. Troop Messenger is coming up with an exceptional feature called an Orange Member. This feature enables the non-company employees to be a part of the application with their public/private domain email id’s. Try out your hands-on the new-age business collaboration chat application, The Troop Messenger right away. Skype is an instant messaging and calling app and a popular communication tool. It allows audio and video calls between multiple devices like one on the laptop and the other on phone. Bring your teams together through group video calls and give great presentation online with the help of screen sharing. You can make free or low-cost calls locally or internationally. HipChat is designed for business team communication helping teams to collaborate more efficiently. It is a system that makes internal private chat and instant messaging much simpler. You can initiate a group chat with the team to avoid any miscommunication and redundancies. To avoid inconvenience, Hipchat saves the conversation of users for future assistance and upload and collaborate on documents and tasks. Google has been making progress in the field of collaboration. Hangouts is a collaboration tool for business communication that offers voice and video calling to users. With Hangout chat you can create chat rooms to quickly chat and share files with team members. The team can communicate by direct messaging and be connected always. Flock is a seamless and easy way of communication with teams that increases team productivity by reducing emails. No longer will you have to waste your time on meetings as you can discuss ideas on Flock chat. 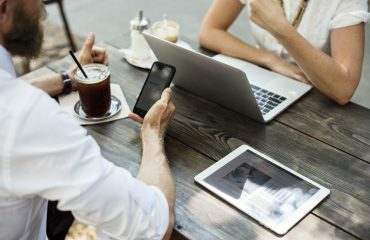 Being one of the best online collaboration tools for business, you can connect with your team on messages, video calls, manage projects with to-dos, group discussions, polls and reminders and integrate your most favourite apps. Chanty is an affordable alternative to your business messenger. It helps teams foster healthy relationships while improving the way team members collaborate. Make your team communication transparent and accessible. By featuring instant messages with plenty of storage space, an unlimited searchable history, and handy file sharing you can enjoy seamless communication with your teams. The AI algorithm of Chanty predicts responses saving your time spent on typing. It provides the extra benefits of audio and video calls, voice transcripts and integrations as well. Mockplus iDoc is a powerful product design collaboration tool for designers and engineers. Mockplus iDoc helps connect the entire product design workflow. It allows designers to automate design handoff. It’s possible to export design right from the Sketch, Photoshop or Adobe XD and see the specification prepared automatically. Create interactive and animated prototypes. Make design collaboration easier. The better collaboration will result in better designs. Viewflux is a tool designed for small businesses and remote workers, allowing you to see all of your projects in one place. You can now communicate with your clients visually and get visual feedback so that all stakeholders are on the same page throughout the design process. You can sync your designs from Dropbox and do the changes. Canva is a simple graphic design tool to make visual content look decent. You can make unique designs in just a few minutes and share it with your team. Collaborating with teams is much easier with canva. Designers can share their designs with anyone and other team members can leave their comments. Pick from thousands of layouts for your designs and also create your custom template. Sketch app aims mainly professionals in web designs as it has become a complete tool for UX design deliverables. It takes the pain out of working with repeated design elements so that designers can design once and use it anywhere. You can find some nested symbols in Sketch to create flexible design elements with ease. Adobe is all in one UX/UI solutions for designing websites, mobile apps and more. Adobe XD is designed for both Mac and windows and is a part of creative cloud. Designers can connect it with their favorite tools like Dropbox, Avocode and others. Adobe allows designers to switch from static layouts to interactive prototype in single click. InVision is a comprehensive prototyping software for designing user interfaces for mobile applications and digital interactive products. The tool allows users to collaborate, upload wireframes, designs, gather feedback seamlessly and test much more effectively and efficiently. With InVision, you can manage your projects from a single dashboard and seamlessly navigate the entire design process in one place. The clients can provide instant feedback in the form of comments. Google docs is another simple way of collaborating with a small or big team. You can easily share, edit, and eventually, publish documents of all kinds, make spreadsheets and presentations. Everything here is for free and easy to use. And once you have set the offline mode on your Google docs, you will not need an internet connection to use the docs. Office online is Microsoft’s free version where you get the core of Office: Excel, PowerPoint, Word, and Onenote. However, all the features are not available for free but it is quite in the budget. The basic documentation and editing tools are available on the free version and will suit your needs just fine. Save documents, presentations, communicate, collaborate and get great work done. The key to success of any project is how good is the process of documentation. GitHub is built for teams to work together through problems, and learn from each other along the way. On GitHub you can manage your chaos along with writing code. You can also do longer documentation for wikis on GitHub to present an in-depth information about your project. This is a all in one collaboration tool for businesses as you can work on everything from video and images to code and sound. Dropbox Paper will bring your ideas to life in a document. You can create new docs or edit already existing ones and work in real time with your team. If you have a Dropbox account, you can use Paper for free. Dropbox is a simple and powerful way to keep your team on sync. Its business version allows more space (1 terabyte, or enough to store 250 movies) and more features and higher sharing limits. You can sync your Dropbox content to ProofHub for managing tasks and projects. Send files and folders and keep your work safe in Dropbox. With OneDrive your team can share can store photos, documents, videos and all file type. You can store, sync and access your files anytime, anywhere on the web. OneDrive allows you and your colleagues to collaborate with Word, Excel, PowerPoint, and OneNote from your desktop, mobile device, and the web. Now work seamlessly with tools you use every day to create, communicate and collaborate effectively with your system. WeTransfer keeps your things simple, transfer your files from A to B using a web browser service. You can also personalize the way you share your files, take your story to amazing places with a captivating ideas. File sharing with dropsend offers unlimited bandwidth for sharing and receiving files. You just have to browse to the folder you want to share and share it with whomever you want to. For group file sharing, business plan is also available. Hightail serves two primary purposes: online file sharing and creative collaborative feature. This cloud service is designed to help teams to manage projects from start to finish, share images, send large files, videos, PDFs, and more with other team members. With Hightail, teams can easily collaborate on files and protect data shared with clients. As the clients are in the loop, they can provide feedback on files anytime and all the changes can be tracked easily. The collaborative platform aims to eliminate sharing files through emails, where most of the miscommunications can occur. The pocket is for your teams to save directly from your browser or apps to view late. You can save articles, videos, and almost anything into Pocket to view them later on any device. You do not even need an internet connection to view it later. Keep your and your team’s best ideas always with you and in sync. Evernote tool is a collaboration tool for businesses that make it possible to share your ideas with a large team. You can capture, organize and share notes from anywhere. The teams can give their best ideas and knowledge in seconds and keep everything in one place. Pinterest is a simple and social way for occasional browsers , for people who actively share their business blogs, and for those who pined away anything for their leisure to do it in a visually pleasing way. You can organize ideas and inspiration, save articles, visual content and go back to your boards anytime. You can have active boards or boards that are more than to-do lists, to save your favorites. MindMeister allows your team to plan projects, manage meetings and sketch out business plans. It allows teams to be more innovative by providing an environment for brainstorming as well as planning. You can choose from a plenty of templates that it has to organize work easy. And it also allows the user to share their mind maps with anyone they want in real time or make it public. Bit is a smart all-in-one document collaboration platform for teams to create interactive documents, manage digital content and track document insights. In this documentation software, team members can invite colleagues accordingly depending on who they need to collaborate with to get work done. Now as you know the importance of collaboration tools and some common use tools, how do you choose one for your teams? Companies should choose a software according to their needs and identify the best service for your team. Pick tools that offer excellent service and multiple features for team collaboration. Choosing multiple features will improve your work efficiency and allows people to use it in many different ways. Nobody wants a complex structure to work. Make sure that the tool you use delivers services that do not take a lot of time to get used to and keep an eye out for an intuitive interface and simple navigation. Cloud-based technology is far better to others as you are saved from the headache of version controls. Every information is stored online and you can access it from anywhere. Integrations are key to convenient work. Look for tools that seamlessly integrate with some important tools and are also compatible with various devices. So, pick one that brings out the best for your teams. These tools are increasingly making every kind of business likely to be successful. No communication gaps, no more disorganized work, no more failed project in 2018. Switch to ProofHub!